To show our love for Durham we’re performing at the Marry Durham wedding reception! Marry Durham is a benefit event where donors get to participate in a wedding, parade and reception with the Bull City on March 19th. 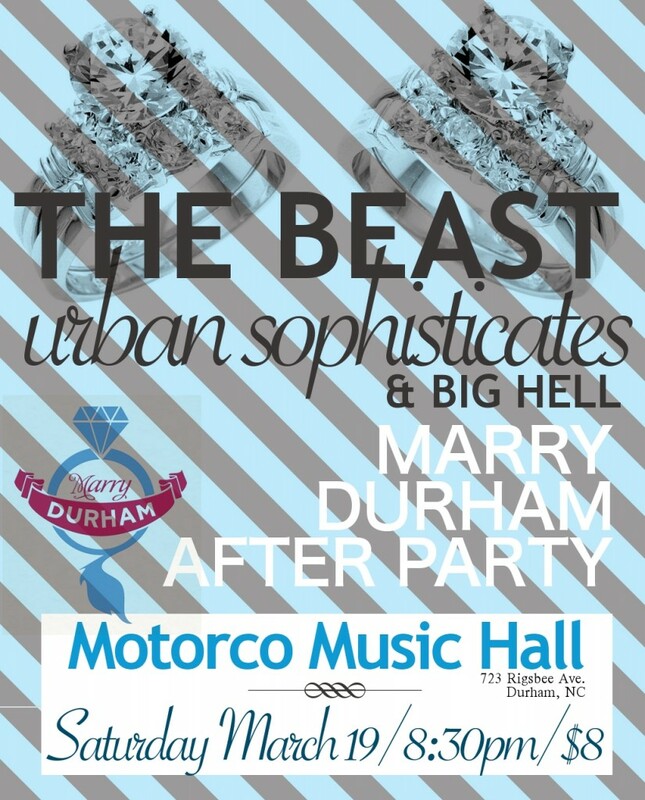 We invited the Urban Sophisticates and Big Hell to rock the after party with us at Motorco Music Hall. Doors at 8:30PM | $8.